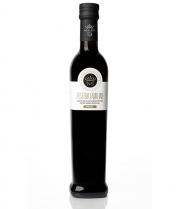 Extra virgin olive oil made from the following varieties of olives: picudo, picual or marteño, hojiblanca, lucio, nevadillo de Alhama de Granada and loaime. Olive oils which are light in your mouth. They contain a wide range of flavours of fresh fruit, ripe fruits, grass, figs, etc. As well as the perfect combination of different attributes, we can discover balanced and well-rounded olive oils, which include touches of bitter and spice in perfect harmony with its sweet flavours. The terrains making up this area are located in: Algarinejo, Alhama de Granada, Arenas del Rey, Cacín, Huétor Tájar, Íllora, Jayena, Loja, Montefrío, Moraleda de Zafayona, Salar, Santa Cruz del Comercio, Villanueva de Mesía, Zafarraya, Zagra, and the end of Moclín of the Western zone is understand as the natural limit defined by the river Velillos, all of which are found in the province Granada.